It has become a Thanksgiving tradition that we head to the Boardwalk area resorts to check out the Christmas decorations. Each of the 5 hotels does a nice job of transforming their lobbies into showcases for interesting holiday displays. Several of them involve gingerbread and one is based entirely on chocolate. 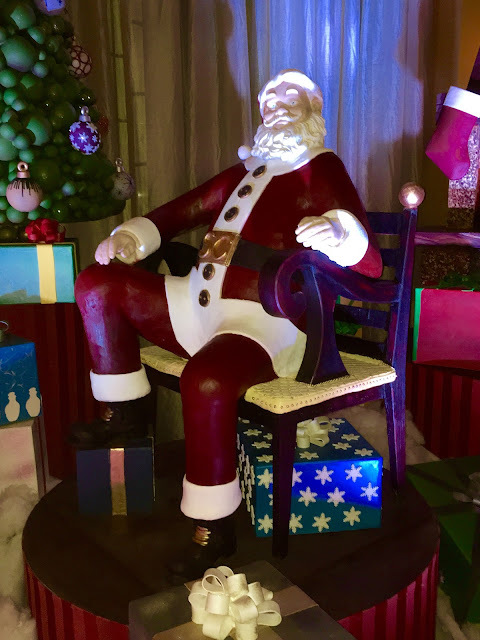 This Santa is part of a display, at the Swan resort, that uses nearly 1,800 pounds of chocolate. The entire display is edible and contains over 5 million calories!